Here's a FIRST LOOK at the upcoming TRON: UPRISING animated television series! The story of TRON: UPRISING focuses on an era of the TRON storyline that transpires after the original 1982 TRON feature film and before the story in TRON: LEGACY. The series' talented list of artists, animators, directors, producers and digital technicians includes Executive Producer/Director Charlie Bean ("Robotboy," "Samurai Jack," and "Powerpuff Girls"); and Consulting Producers Edward Kitsis, Adam Horowitz (both Screenwriters of TRON: LEGACY / Executive Producers of "Lost") and Justin Springer (Co-Producer of TRON: LEGACY). TRON: UPRISING is set to begin airing during the Summer of 2012, and will be preceded by a 10-part TRON micro-series launching in Fall 2011, both of which will be shown on the Disney X D channel. Produced by Disney Television Animation, the series follows Beck, a young program who becomes the unlikely leader of a revolution inside the computer world of "The Grid". His mission is to free his home and friends from the reign of the villainous CLU and his henchman General Tesler. 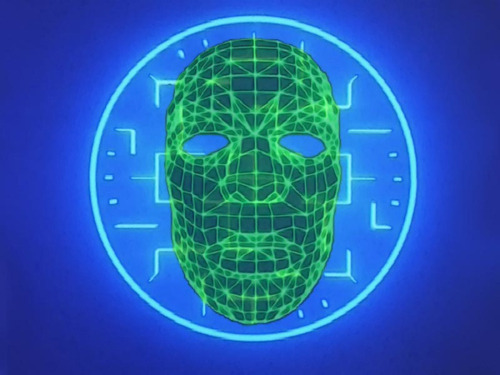 Beck will be trained by TRON - the greatest warrior the Grid has ever known. Tron will not only teach Beck the fighting skills he needs to challenge this brutal military occupation, but will be a guide and mentor to him as he grows beyond his youthful, impulsive nature into a courageous, powerful leader. Destined to become the new protector of the system, Beck adopts TRON's persona and becomes the archenemy of Tesler and his oppressive forces. The impressive voice cast of TRON: UPRISING includes Elijah Wood as Beck, Emmanuelle Chriqui as Paige, Mandy Moore as Mara, Nate Corddry as Zed, Lance Henriksen as Tesler, Paul Reubens as Pavel, Reginald Vel Johnson as Able, and Bruce Boxleitner reprising his role as TRON! Gary Marsh, President, Entertainment, and Chief Creative Officer, Disney Channels Worldwide says: "TRON: UPRISING is the culmination of an extraordinary collaboration between Disney Television Animation and our feature film studio. And it is a perfect reflection of everything we want Disney X D to stand for - innovative storytelling, aspirational, heroic characters, and world class design." Why delete the other thread that already had 2 pages of comments and discussion about this? CorrupTron Wrote:Why delete the other thread that already had 2 pages of comments and discussion about this? Was done by accident - just let some other folks know. Also, in terms of two pages, it was just really one... with a couple on the second. I did get a little chill and goosbumps watching that. It looks excellent *visually* so far. Heh, it's still 2 pages. Anyways, this topic is fine. I like the video embed! It would all depend on who survives. Its been established that Uprising, Betrayal, Evolution and Legacy are all the same timeline, so TR3N will be also, whatever the exact time it occurs. I was so excited watching the trailer, I showed it to Mrs RecoPilot and she thoughtit was a fan work until she heard the voices, then she practically screamed with excitement! LWSrocks Wrote:Do you think Beck, Gen. Tesler, or any other characters here would ever play a role in TR3N? Depends.....If those characters surrived the events of Uprising (which does make it sound like something violent may occur) then perhaps. Crack theory time! Tron slays Tesler but when Tesler derezzes he realeases a virus which begins Tron's transformation into RinzLER. Now that looks pretty damn sweet. I'm glad the style of animation is quite distinct from recent animated shows lately (like the Batman and Superman shows), because they were all starting to look alike. Also glad they're not making it very anime-like. I realize it's a hugely popular and respected artform, but for me, anime has to be really good to be tolerable (like Akira). BigbadMCP Wrote:Now that looks pretty damn sweet. I'm glad the style of animation is quite distinct from recent animated shows lately (like the Batman and Superman shows), because they were all starting to look alike. Also glad they're not making it very anime-like. I realize it's a hugely popular and respected artform, but for me, anime has to be really good to be tolerable (like Akira). When I examine it closer, it reminds me of the style of animation used in Symbiotic Titan. Well there will FINALLY be one show I am interested in!! Agreed, I should have specified, the CG design reminds me of SymbioticTitan not necessarily the character design. Well, it looks pretty awesome to me. ShadowDragon1 Wrote: Well, it looks pretty awesome to me. Love how the suit design at the end works some of the more complex vintage Tron circuit traces into the Legacy-style design. What's that about? That almost seems to imply that what Flynn brought to the new Grid wasn't the original TRON at all, and more like a "One Program will rise above the rest and be chosen to be the protector" type of thing, and will be given the same name. I hope I'm wrong about that, because not only does it seem to clash with what we know, but is not giving me visions of Flynn setting up a games tournament as some kind of excalibur test. Tron Fanatic Wrote:"What are you looking for?"